Visiting Galway with kids or looking for something different to do with the kids in County Galway? 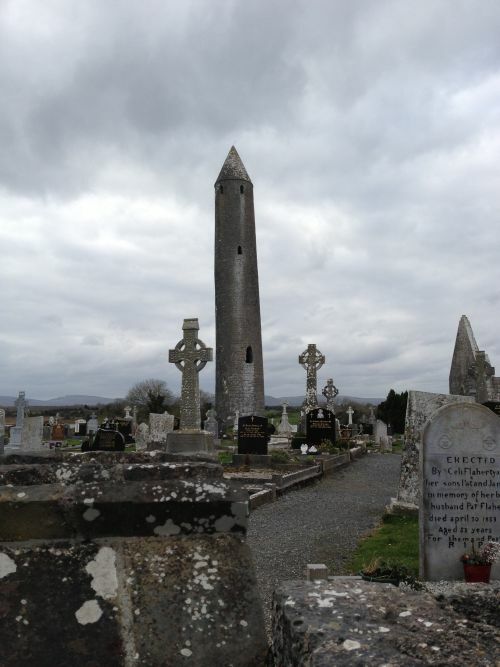 Head out to Kilmacduagh to see the “Leaning Tower of Galway“! Kilmacduagh Monastery is found 5 km from the town of Gort in County Galway, Ireland. We drove to Kinvara and turned left at Sexton’s pub on the left as you go into Kinvara (purple pub). Take the right fork just after you turn and drive for about 7 miles until you reach a T-junction. 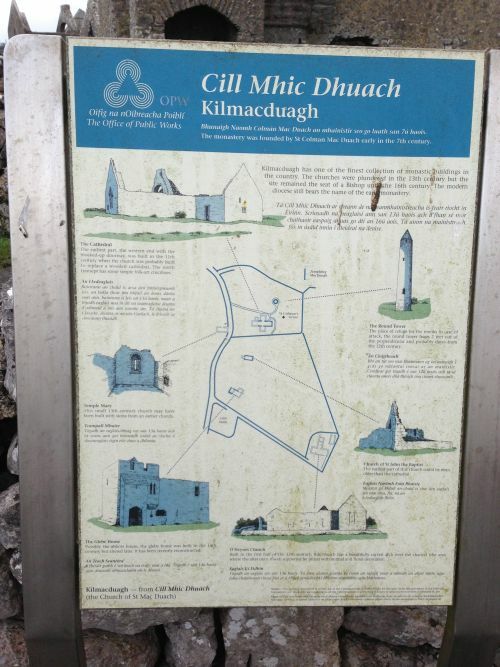 Turn right and go down about 1 mile and you will be at Kilmacduagh – there’s a car park on the right hand side. It was the birthplace of the Diocese of Kilmacduagh, whose name means “church of Duagh’s son”. 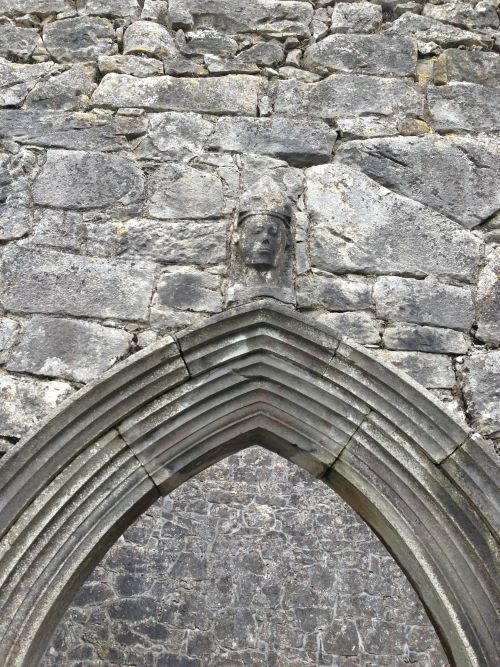 The 7th century Saint Colman, son of Duagh, established a monastery on land given him by his cousin King Guaire Aidne mac Colmáin (died 663 in Ireland) of Connacht. 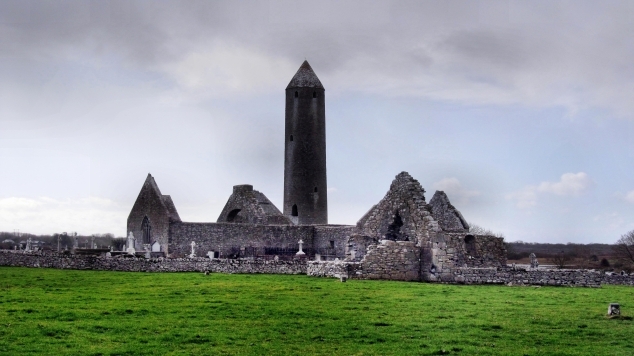 Kilmacduagh monastery, a very good example of a monastery in Ireland, contains a tall round tower. It’s notable not only as a good example of an Irish round tower but also because of its noticeable lean, over 2 feet from the vertical. There are several ruined buildings scattered across the site, with stone step stiles to climb up and down to reach them. The “Leaning Tower of Galway” is over 30 metres tall, with the only doorway some 7 metres above ground level. It dates from the 12th Century. The round tower sits next to the original Cathedral building within the graveyard just down the road a bit from the car park. There’s plenty of room for kids to wander around and it’s enclosed so you don’t need to worry about them getting out on the road, quiet enough as it is. One of the oldest buildings sits in a field, there were cows in it the day we visited, so we didn’t feel like disturbing them, but if cow-free, you can climb up stone steps and into the field to see that building. According to legend, Saint Colman MacDuagh was walking through the woods of the Burren when his girdle fell to the ground. Taking this as a sign, he built his monastery on that spot. The girdle was said to be studded with gems and was held by the O’Shaughnessys centuries later, along with St. Colman’s crozier, or staff. The girdle was later lost, but the crozier came to be held by the O’Heynes and is now in the National Museum of Ireland. It is said that, in the Diocese of Kilmacduagh, no man will ever die from lightning. This legend was put to the test when one unlucky soul was struck, but the force of the bolt made him fly through the air into neighbouring County Clare, where he died. We enjoyed our visit to Kilmacduagh. It was quite windy the day we were there, and as the site is on a plain overlooked by the Burren, it is probably quite a breezy spot most days. There was plenty of exploring to be had, climbing over stone steps and peeking into buildings and of course enjoying the view of the “Leaning Tower” itself. You’ll find lots of good picture opportunities as well between the old buildings, the towers, faces on walls and cows nearby. There’s no cafe or shop on the spot. You can buy a copy of a guide to the site at one of the nearby houses. It’s not a very developed tourist attraction but if you like a bit of exploring around old ruins with a nosey at gravestones in a safe, quite spot, you’ll enjoy this. I would recommend bringing a picnic on a nice day or heading back to either Kinvara or Gort for something to eat afterwards. Have you been to visit The Leaning Tower of Galway? What did you think? Tell us in the comments below.